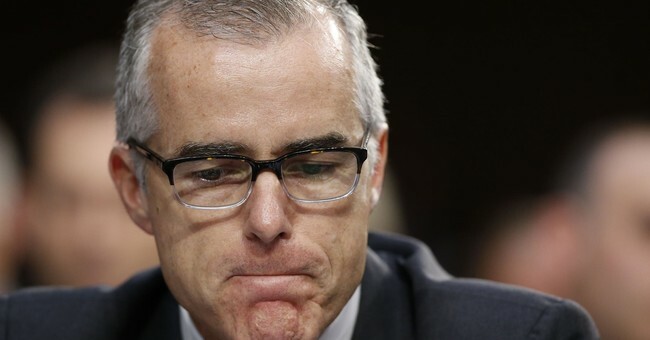 McCabe was cited for improperly disclosing the friction between the Department of Justice and the FBI over the investigation into the Clinton Foundation to The Wall Street Journal, and for misleading investigators when questioned about it in a DOJ inspector general report. Due to this revelation, the FBI’s Office of Professional Responsibility recommended his termination. UPDATE: McCabe says the Obama-appointed IG is singling him out.